BABYLON RiverRhine concluded its 2017-18 programme with its Cannes Workshop from 11th to 15th May 2018. Based as usual at the Creative Europe MEDIA pavilion in the International Village, participants experienced the Cannes Marché at first hand, with a number of events and receptions, alongside individual project consultancy and pitching rehearsals. The intensive schedule included beachside seminars and case studies, from producers, festival directors, distributors and sales agents. The central event of the workshop was the inaugural BABYLON RiverRhine Breakfast Showcase, at which our participants pitched their projects to an audience of potential co-producers and funders at the Creative Europe MEDIA stand. We were honoured to receive introductory addresses given by Catherine Trautmann, Vice-President of Strasbourg Eurométropole and President of Eurimages, Professor Carl Bergengruen, Director of the Medien- und Filmgesellschaft Baden-Württemberg MFG and Jean Rottner, President of the Regional Council of la Région Grand Est. Tereza Kotyk's début feature film "Home is Here" starring Anna Åström and Stipe Erceg had its world première on 18th November 2016 at the Tallinn Black Nights Film Festival. Tereza participated in the 2011 edition of Babylon, at its development workshops in Rotterdam and Cannes. She continued with the development of her project under the Vienna-based Diverse Geschichten programme before teaming up with producer Gabriele Kranzelbinder. Another 2011 alumna, Elena Tikhonova, shot her début feature film "Kaviar" during 2016. "Kaviar" is a lively culture-clash comedy about the battle of wits between a wealthy Russian man and the group of women who are determined to stop his crazy scheme to build a bridge between downtown Vienna and his luxury villa. Produced by Ursula Wolschlager, Alexander Glehr and Franz Novotny, with screenplay by Elena Tiknonova and Robert Buchschwenter, "Kaviar" stars Margarita Breitkreiz, Daria Nosik, Sabrina Reiter, Mikhail Evlanov, Georg Friedrich and Simon Schwarz. Tal Haring and Efrat Cohen, with Babylon’s first Israeli project, absurdist black comedy Kids and Kings set in contemporary Tel Aviv, were selected to Film London’s Micromarket in October 2015, one of only 8 international projects taking part out of a total of 23 see Screen Daily: Micromarket Selected Projects. Co-writing duo Vika Evdokimenko and Oliver Shuster scooped up two prizes for their ground-breaking first feature script The Place Behind Her Eyes, which won Best Graduate Feature Screenplay at this year’s Fusion Film Festival and was a winner of the NYU Purple List 2015. Baden-Württemberg funded Peter Evers with his screenplay Niemandsland and Vienna backed XOXO by Johanna Lietha and Iliana Estanol have both found producers during their participation with the programme. XOXO is currently in casting and early rehearsals in Vienna. Thanks to the generosity of our core funder Filmfonds Wien, Babylon is proud to have welcomed Vienna-based Syrian filmmaker Alfouz Tanjour with his feature Wooden Rifle, confirming Babylon’s eight-year mission to advance films of migration and double culture. Babylon’s Greek participant Stratis Chatzielenoudas was accepted at the 2015 Cross Channel Film Lab and at 2015 Sarajevo Talents with his project Haunted by City Lights; British writer-director and WFTV mentee Christiana Ebohon completed three drafts of her feature film Sheba alongside her BBC television directing work; Vienna based singer-actress-screenwriter Sonja Romei developed Die Diebin alongside her theatre appearances; and MFG-funded Carsten Unger continued his historical blockbuster The Tear of Eve alongside his prolific, award-winning work as writer-director. Mai Masri's much anticipated first feature 3000 Nights(Babylon 2009) had its World Premiere in competition at the Toronto International Film Festival (12th September 2015). Read about it on Indiewire. The film, starring Maisa Abdelhadi and Nadera Omranwhich, also screened in the official selection of the BFI London Film Festival as part of the First Feature Competition. 3000 Nights tells the story of Layal, a Palestinian schoolteacher who is arrested and incarcerated in an Israeli prison where she gives birth to a baby boy. It was co-produced by Nour Productions, Les Films d'Ici, Orjouane Productions and Phillistine Films, and funded by the CNC-Aide aux Cinemas du Monde (France), Jordan Film Fund (RFC - Jordan), Organization Internationale de la Francophonie (France) and AFAC (Lebanon). Congratulations to Mai and her team! Sally El Hosaini's film My Brother the Devil (Babylon 2009) was released nationwide in the UK in November 2012 by Verve Pictures. Sally won Best Newcomer at the London Film Festival, with sellout screenings in October 2012. MBTD screened in competition at Sundance IFF 2012, winning the Best Cinematography award and receiving excellent reviews. The film also screened as a Panorama Special at the Berlinale 2012 and was awarded the Europa Cinema Label Prize. Read Sally El Hosaini's Q & A for Babylon here. Umut Dag's film Kuma (Babylon 2009) co-written with Babylon alumna Petra Ladinigg, has been released theatrically across Europe and the US during 2012. The film, which has already sold to 15 territories, opened the Panorama section of the Berlinale 2012. My Brother the Devil and Kuma were both selected in competition for the E50,000 Best First Feature prize at the Berlinale 2012. Two further Babylon-supported films screened in the LOLA section of the Berlinale: Abgebrannt by Verena S. Freytag and Baikonur by Veit Helmer. Didi Cheeka's film In Silence and in Tears (Babylon International 2010) was selected at Durban Filmmart in July 2012 and also for the Rotterdam Lab 2013. Dima Hamdan's The Kidnap (Babylon 2010) recently won the development award of the Göteborg International Film Festival 2012. Itandehui Jansen and Armando Bautista Garcia (Babylon 2011) will be presenting their short fiction film El Ultimo Consejo (The Last Council) in the official selection of the Guadalajara International Film Festival 2012. The short film was supported by the Academy of Creative and Performing Arts at Leiden University in the Netherlands and won the short film post-production Grant from the Mexican Institute of Cinematography (IMCINE) in 2011. The film is shot in Spanish and Mixtec. Itandehui's Babylon supported feature film Dios No Estaba Ah (God was never there) will again be a coproduction between Mexico and the Netherlands. Verena S. Freytag's film Abgebrannt (Burnout) (Babylon 2007) won Best Film ('Achtung Berlin - new berlin film award 2011'), and SR/ZDF- Script prize at the Max Ophüls Film Festival Saarbrücken, 2011. It is currently on theatrical release in Germany and recently premièred in the UK at the 2011 Cambridge Film Festival. Umut Dag's film Kuma (Babylon 2009) co-written with Babylon alumna Petra Ladinigg, recently completed principle photography in Vienna and Anatolia, and is currently in picture-edit. Produced by Wega-Film and co-funded by the Austrian Film Institute, Vienna Film Fund and broadcaster ORF. Sally el Hosaini wrapped principal photography September 2011 on her East London shot film My Brother the Devil (Babylon 2009) and is currently in post-production. Veit Helmer's film Baikonur (Babylon 2009) was released by X-Verleih in Germany 1st September 2011. The film was co-produced by Veit Helmer Filmproduktion, Eurasia Film Production and Tandem Production, co-funded by ARD, Arte, BR, RBB, BKM and the Goethe Institut. Shanghai-Belleville by Show-Chun Lee, producer Juliette Grandmont (both attended Babylon 2007) finished shooting 9th Sept 2011. The film has co-production support from China Blue and a E450,000 advance on receipts from the CNC France. After participation in Babylon, SB was selected by the Cinéfondation Workshop at the Cannes Film Festival, by Emergence and the Angers Workshops It will be launched in French theatres in autumn 2012. Multi-award-winning Son of Babylon produced by Isabelle Stead of Human Film has won Best International Feature Film at the 2010 Raindance Film Festival and the Raindance Award at BIFA 2010. Dima Hamdan's project Kidnapped was jointly awarded the $100,000 Shasha Development Grant from the Abu Dhabi Film Commission October 2010. Mai Masri's project 3000 Nights has won a grant award for best script at Carthage Film Festival, Tunis, November 2010. Karim Bensalah took part in the RFC screenwriter's Lab in partnership with Sundance Institute with his project L'Olivier Rouge. Ayse Polat's film Luks Glück won Best Sound Design/Editing at the Hof Screenings in Hamburg, Oct 2010. Veit Helmer wrapped principal photography on his film Baikonur November 2010. Verena S. Freytag completed her film Burnout Autumn 2010. Mirella Muroni has received development funding from the Amsterdam Art fund for her project Wegfallen/Falling Away. Dima Hamdan was awarded a place on the prestigious mentorship and development scheme Hothouse, run by the London Film School, to further develop The Kidnap. 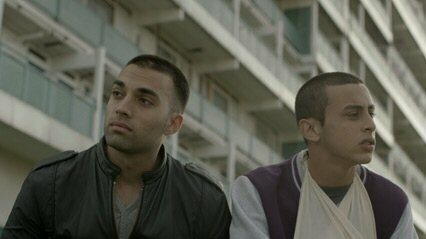 Following Babylon 2009, Sally El Hosaini took part in the Sundance Film Director’s Lab with her project My Brother the Devil, was one of Screen International’s 2009 Stars of Tomorrow, and is now working with a UK producer to finance the film. She attended the marketing/distribution workshop in Berlin. Daniel Cattier’s project Poings Nus/Naked Fists took a positive step forward during 2009 with Daniel’s direction of a documentary special for Belgian television on the same subject as his feature, the struggle for Congolese independence. Arzu Kökeng acquired a major Dutch producer for her 2009 project Kanka/Live Loud Laugh Long and is developing the screenplay along with the director. Zornitsa Sophia continues to develop her third feature Estrogen, also taking part in 2009 in EAVE and the MFI Script 2 Film Workshops. The project was selected at the 2009 Mannheim Meetings. Veit Helmer was awarded Development funding from Medienboard Berlin-Brandenburg and was selected for Cinemart 2009 with his project Baikonur which is scheduled to shoot during autumn 2010. Pia Marais, who joined the Babylon Berlin Workshop in October 2009, was also selected for Cinemart where she won the ARTE France Cinema Award 2010 for her project Layla Fourie. Producer Isabelle Stead launched Son of Babylon (formerly Um-Hussein) by Mohammed El Daradji, at the Arab Film Festival Abu Dhabi 2009. It was selected for the World Cinema Competition at Sundance 2010, the Panorama section of the Berlinale 2010, and Edinburgh International Film Festival 2010, and continues its successful festival run. It was awarded the Amnesty International Human Rights Award in Berlin in February 2010. Gahité Fofana completed his feature film Wallaye! during 2009. Karim Bensalah was awarded a development grant from the CNC for his project L’Oliver Rouge. Firos Kariman has continued to develop Icarus with ScriptHouse and at the Binger Institut; he is currently planning his first feature film shoot. Producer/Director/DOP Giorgio Caprioglio is currently shooting his first feature. Mitko Panov’s feature The War is Over, shot in Switzerland and Macedonia in the Albanian language, was launched at the Babylon workshop Berlin 2009 and at a special screening in Macedonia November 2009. Academic previews have included screenings and director Q&As at Cambridge University and the Cambridge Arts Picturehouse in December 2009 and at UCL London in June 2010. Show Chun Lee completed the script of Shanghai Belleville during 2009. The film is currently at production finance stage and took part in L’Atelier at Cannes this year, having previously attended 8 major finance markets. The project was awarded MEDIA Development Funding in 2007; producer Juliette Grandmont has raised a total of Euros 100k in development funding; avance sur recettes is confirmed on the project which is due to shoot later in 2010. Faisal Qureshi continues to work on his feature script Battle Without Banners with veteran UK Director Alex Cox; he won the Best Film Story award at the Brussels Film Festival and Best Short Film at Super Shorts Film Festival in London 2009; he was Associate Producer on controversial UK Independent Film Four Lions which is currently on general release in the UK. Anthony Alleyne developed his thriller with UK’s Studio of the North in 2008 and continues to produce online drama Jonny Fredo with Babylon 2008 alumnus Piero Passatore. Congratulations to Veit Helmer, whose project Baikonur participated in the Babylon 2009 Rotterdam and Cannes workshops, and to Pia Marais, whose project Layla Fourie participated in the Berlin 2009 workshop: both projects have been selected to take part in Cinemart 2010, during the Rotterdam International Film Festival. The Sundance Film Festival has announced its competition line-up today, revealing two films made by Yorkshire production companies in the World Cinema Dramatic Competition. Son of Babylon(Human Film) and Four Lions (Warp Films) will both have their World premieres at Sundance, the key annual international event for independent cinema, which takes place in Utah from 21st - 31st January 2010. Son of Babylon (BABYLON 2008) is a Leeds / Iraqi film written and directed by Mohamed Al-Daradji and produced by Leeds based Human Film with support from Screen Yorkshire's Production Fund. The film unearths Iraq's hidden horrors as Al-Daradji takes his audience on a journey through Iraq in 2003....Saddam Hussein has fallen and on hearing the news that prisoners of war have been found alive in the South, Ahmed, a young boy and his grandmother, Um Ibrahim, set out to uncover the fate of the boy's father, one of the many soldiers who never came home. From the mountains of Kurdistan to the sands of Babylon, as his grandmother struggles to accept an awful truth, Ahmed retraces the footsteps of a father he never knew. Son of Babylon is the second feature film from Mohamed Al-Daradji, following his debut Alhaam, a film that represented Iraq for the Oscar and Golden Globe Awards in 2007. Son of Babylon is a multi-national collaboration of independent filmmakers that has united many well respected organisations from the US, Europe and the Middle East including: Sundance Institute (US), UK Film Council (UK), Screen Yorkshire (UK), CNC (France), Hivos, Doen, Nederland Fond and Rotterdam Media Fonds (Netherlands), Pyramedia and ADACH (UAE). The second film in the same competition comes from Sheffield based Warp Films , best known for their BAFTA award winning feature This Is England. Four Lions, directed by Chris Morris and written by Morris, Jesse Armstrong and Sam Bain (Peep Show) is a comedy about some self-styled British jihadis, starring: Riz Ahmed (Shifty), Arsher Ali (Trial and Retribution), Nigel Lindsay (Rome), ayvan Novak (Fonejacker) & Adeel Akhtar (Law & Order). Hugo Heppell, Head of Production at Screen Yorkshire says: "We are incredibly proud to have been able to support Son of Babylon and are delighted to congratulate Mohammed Al-Daradji, producer Isabelle Stead and all at Human Film, as well as Mark Herbert and the Warp team on their fantastic achievements. For Yorkshire to have two of only 14 films selected for one of the most prestigious competitions in the independent film calendar shows the world class talent we have here." Sally was one of only 12 directors selected internationally with her upcoming directorial debut, My Brother the Devil. She will spend most of June at the Sundance Resort in Utah where she will have the opportunity to workshop her script and to shoot four scenes from her film with actors. Dhafer L'Abidine (Rise of the Footsoldier, The Mark of Cain, The Children of Men, Da Vinci Code) playing Sayed the French Algerian biker. For more info about Sally click here. For more info about the Sundance Lab Selection click here. 2008 French participant Karim Bensalah has been awarded Development Funding from the CNC (Centre National de la Cinématographie) for his script L'Olivier Rouge. For more info about Karim click here. Mitko Panov's project The War is Over, which took part in the 2007 programme finished shooting July 2008 in Macedonia and Switzerland. Mitko was at the Locarno Film Festival 9th-11th August 2008 to present his film, accompanied by Babylon Programme Director Gareth Jones. Click here for full Screen Daily report [pdf]. Now in post-production, The War is Over is a co-production between Kamera300, Switzerland & Pirej Film, Macedonia, the first Macedonian state funded film to be shot in the Albanian language. Shot on RED on locations in Macedonia and Switzerland by veteran Polish cinematographer Piotr Jaxa. Cast: Muzafer Edemi, Sheqierie Bucaj, Armond Morina, Blerta Sulaj, Selman Lokaj, Dritro Ame, Enver Petrovci, Sulejman Lokaj. Development supported by: Guggenheim Foundation, UT Austin, Federal Office of Culture, Switzerland; Zurich Filmstiftung, EU MEDIA Programme, Brussels; BABYLON, London. Production supported by: The Ministry of Culture of Republic of Macedonia, Macedonian Film Fund & Kamera300, Switzerland. Mitko's project Witness, also workshopped in Rotterdam, was awarded the First Prize for Best Screenplay at the Central European Pitch Forum in Hungary, October 2007 and was a participant in the ScriptEast programme 2007. Ayse Polat has been awarded major production funding by the Filmförderung Hamburg Schleswig-Holstein and the FFA for her film Luks Gluck which is in pre-production. Ayse's own company punktpunktpunkt Filmproduktion will co-produce with Intervista Digital Media for ZDF. Sülbiye Günar was awarded Medienboard Berlin Brandenburg development funding, October 2007, for her film project Burnout. She has been developing the script during 2008 and the project is now confirmed for production by ZDF. Writer/producer team Show Chun Lee and Juliette Grandmont received MEDIA Development Funding for their film Shanghai Belleville. The screenplay is completed and the project is now at casting stage. Interview with Umut Dag on "Kuma"
Review of Veit Helmer's recent release "Baikonur"
Press Article: International Film Festival Rotterdam's Daily Tiger. BABYLON film development programme successfully launched at Locarno Film Festival. Read Screen International story from 7th August 2006.